Whether you are a homeowner or a business manager who needs windows cleaning, our professional cleaning agency is at your disposal. We are operated in London and serve a couple of regions in the city. 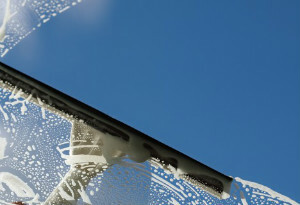 Many people and organisations trust our company for their windows cleaning. As far as we know, they are very satisfied with the results we achieve. Proof for this is the fact that they hire us over and over again, whenever they need such a service. Cleaning windows takes a lot of time, no matter if you live in a small or big house. It is very tedious, which is why many housewives do this only during the big spring clean. To take off the burden of your shoulders, we offer you our high-quality service. It is provided at reasonable prices. What are the benefits of using our company? It is extremely important for managers to keep their office buildings clean to perfection. It’s hard to attract clients if you cannot even maintain your office. Poor hygiene in the office makes it look as if you are not reliable enough. It doesn’t only include sparkling floors and desks, it also involves windows. This is the first thing that guests and clients see when they arrive at the location. So, if you need to find someone you can truly rely on, choosing our company is the best thing you can do. Over the years we have proven that we are worth trusting. We always obtain high-quality results no matter what. Our cleaning system is very methodical and powerful. Last but not least, we are very expedite. We can help you and this is all that matters. Our cleaners are very knowledgeable and skilled. They are specially trained to clean windows. There are many aspects of this type of cleaning that non-professionals aren’t familiar with, which is why you ought to leave cleaning to us. If you need to get in touch with us, we offer two options. The first is to speak to our office staff members by phone. They will tell you everything you need to know about our service. The second option is to fill out our online enquiry form. It’s your choice. Just make sure you contact us.